Retailers are already prepping for the madness of Black Friday but there’s fear that one new practice may ruin the profit-making day. 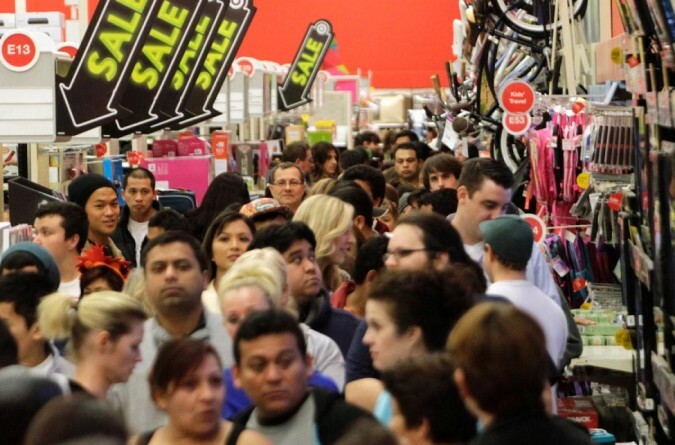 Traditionally, Black Friday is the biggest shopping day in the United States with stores opening their doors before dawn with amazing deals for customers. This year, more retailers are starting the shopping holiday starting on Thanksgiving Day and not waiting until the following Friday. Some of the larger retailers open during the American holiday include Target, Macy’s, Best Buy and Toy’s “R” Us. Many retail companies and their workers are against opening their doors this Thursday. In AM New York, family owned and operated company, P.C. Richard & Son, bought a full page advertisement space stating, “It is our opinion that retailers who choose to open on Thanksgiving Day or night show no respect to their employees and families, and are in total disrespect of family values in the United States of America”. Retail employees work very hard during the holiday season and with the loss of the Thanksgiving holiday, this is just one less day they have off. Also, some are concerned about the unsafe driving conditions that could be created by shoppers staying up all night driving from store to store in winter weather. With that in mind, what are the pros of being open on Thanksgiving? Retailers that open earlier (that is, before the early hours of Black Friday) may get more traffic from individuals that don’t want to stay up all night or wait outside in the wee hours of the morning for doors to open. Many analysts state that most individuals who plan to participate in Black Friday usually end up spending time on Thanksgiving night planning their shopping and searching Black Friday ads, anyway. If you plan on doing your holiday shopping online, be sure to read our article on the best days to do your Christmas shopping. From our New York commercial photography team here at Le Image Inc to you, happy Thanksgiving!